Ban them or brandish them, the argument over long putters raged on in Australia at last weekend’s Talisker Australian Masters at Kingston Heath as some of golf “big guns” were “swung” into the debate. According to Northern Ireland’s Graeme McDowell, the US Golf Association has evidence to prove anchoring the putter to your body does give you an unfair advantage over your opponents – when the pressure’s on. McDowell revealed that USGA chief executive Mike Davis had admitted as much and suggested he had the evidence to prove it. “They [the UGSA) are convinced the research has shown that under pressure – on a Sunday afternoon, the long putter just kind of takes one extraneous movement out of the putting stroke,” McDowell said. 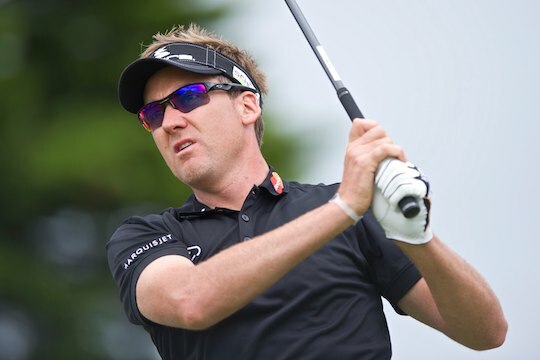 Englishman Ian Poulter, the defending Australian Masters champion appeared of a similar mind. “Ban it – end of story,” said the world No.16, adding that the inaction on long putters had opened a can of worms.